If you are looking for a nursing home or dementia care home for yourself or a relative in the Wiltshire area then we have some of the most individual Care Homes in the county. All our homes are run to the highest standards offering bespoke, person centered care for all of our residents. Equality Care Ltd is a family run business with over 25 years of experience within the care sector. All the directors are actively involved in the daily running of the Care Homes. We currently have three specialist care homes and our new Nursing Home at Longbridge Deverill opened in May 2013. This will have 30 residential and nursing beds. And a 30 bedded specialist dementia nursing unit. The Old Vicarage – Our first care home, offering care to frail elderly including people with confusion and mental health needs. Longbridge Deverill House – Providing care for frail elderly and benefiting from the on-site facilities of the new nursing home. Staverton House – A specialist designed secure unit opened in 2007 caring for people with Dementia. 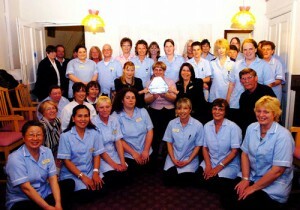 Longbridge Deverill Nursing Home – A luxury home providing full nursing care and a separate specialist Dementia unit. Click on the menu for further information on each homes facilities.